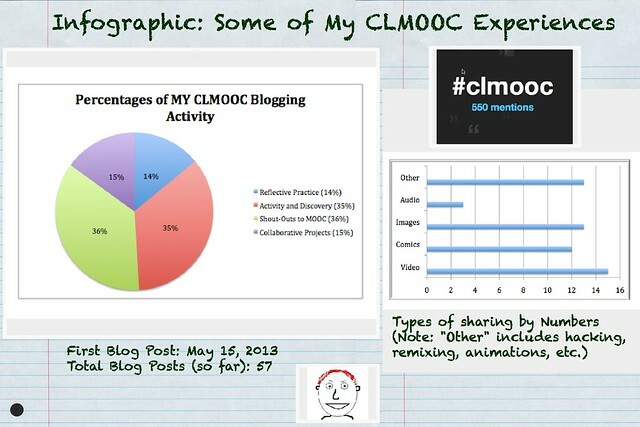 Before the start of the Making Learning Connected Massive Open Online Collaboration (MOOC), I created a flowchart as a teaser (shared farther below in this post). Making a flowchart is more difficult than it seems, as you have to really think through all of the questions and possibilities and then fit all of those elements onto one screen. But I like that kind of thinking, and reading, and writing, too. Creating a flowchart really forces you to be deliberate in the construction of your writing, and as I work on a few flowcharts this summer, I am also thinking of how I might be able to teach this kind of writing in the classroom. 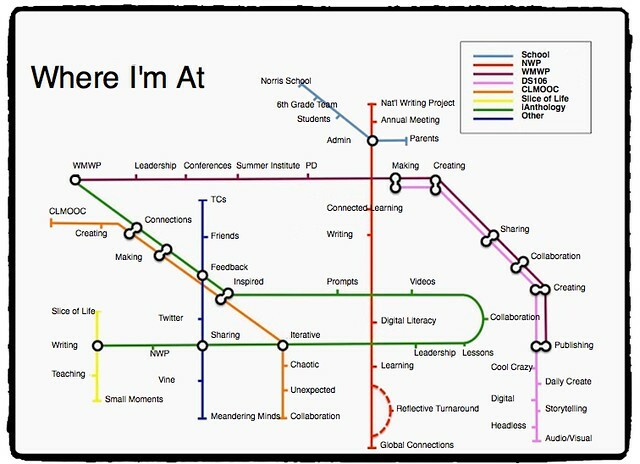 Certainly, it connects to informational text, reading and writing. Anyway, here is a flowchart that I created this weekend for the MOOC as we enter the final stages of the six week adventure. Since we are asking a lot of folks to reflect, I thought this flowchart might help lead a path forward. It’s not perfect, and it seems to me there are still a lot of gaps — places where people might answer more than yes or no. 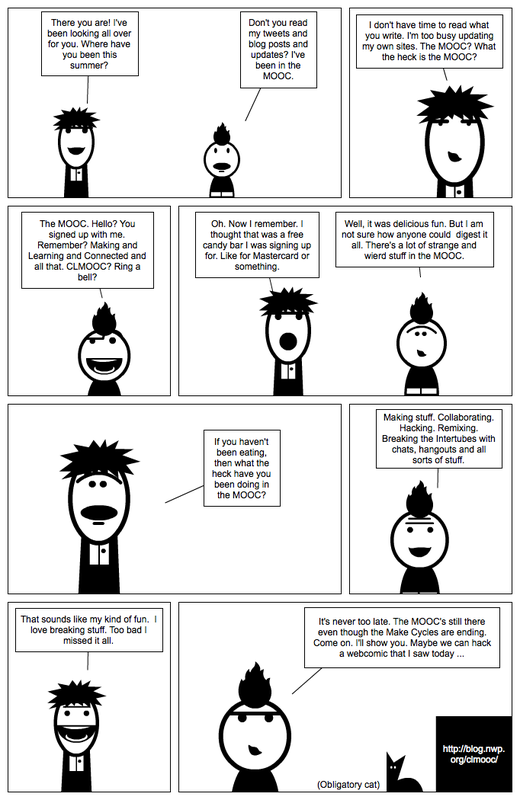 And I wonder if that limited choice casts a negative light on folks who were not part of the MOOC but still followed along from time to time, or maybe left a comment here and there. We valued people on whatever participation level they chose to do, and I am not sure this flowchart recognizes that. 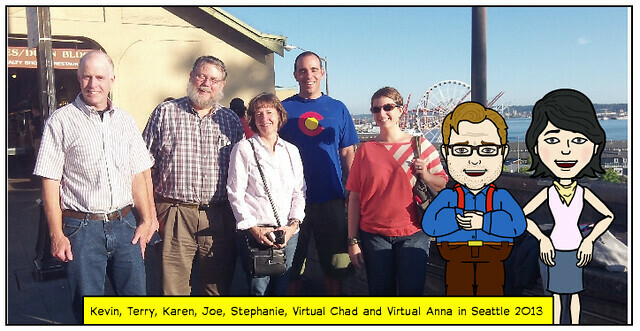 PS — I should explain that I used the “drawing” tool in Google Docs to make both of these. While very basic, it provided most of what I needed to create a simple flowchart.